Start with a Body Scrub so you’ll have smooth, toned skin for the fabulous day, followed by a sixty-minute Massage to soothe your frazzled nerves, and finish with a Classic Manicure and Pedicure to enhance your appearance for your special day. 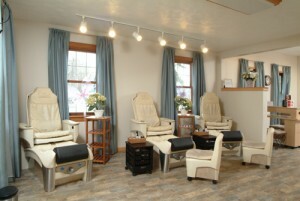 Start with a thirty-minute Massage and finish with a Classic Manicure and Pedicure for any participant in your wedding. He deserves some pampering too! Includes a sixty-minute massage, Gentleman’s Manicure, and Haircut. 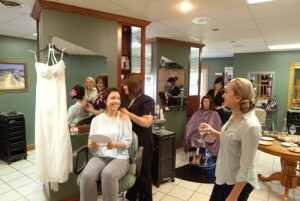 For the Bride and her attendants on the Special Day, a professional Makeup Application and Up-Do for your hair to complete your appearance as you walk down the aisle.